Get this right before you send your form out! Sometimes a person will develop a form and test it on their PC with Acrobat. When they are happy with the look, feel and functionality they will send it out to users. If the users have Reader then some of the functionality may not be available, leading to frustration. LiveCycle Designer ES has a handy feature where the developer can set the target version of Acrobat/Reader and then check the warnings tab to verify that the form will work in that target version. However this does not take into account whether the form will be Reader Enabled. The attached PDF does not present new information, merely gathers information on enabled features and restrictions together in one location. The information focuses on users who have the free Adobe Reader. The last option considers the form being Reader Enabled using LiveCycle Reader Extensions ES (or ES2). The degree of functionality will depend on the options selected by the developer during the process. The sample outlines what users will be able to do and what restrictions apply depending on how the form is deployed. This example does not contain any script, its just a reference document. It was created using InDesign and exported to PDF. Screenshots showing the enabling process are shown when you hover over the question marks. The summary is available here: Assure Dynamics LiveCycle Forms in Acrobat and Reader. Thank you so much for this helpful advice. I am currently using ES2 to create forms, but can’t confirm whether the distributed forms are actually “reader enabled” or not. Does ES2 do this automatically or do I need to go back to Acrobat? Open the form in Acrobat. If it returns the signature properties, then the form is Reader Enabled. Otherwise, if it returns an error, the form is not Reader Enabled. Thank you so much! That information was most helpful. 1.I have designed the form and enabled RE using the ES process, Now I do not see much difference in my form, as in order to save the contents of the form I have to follow a path file> save as, but the save button which should be present in the Top tab would be disabled, I wonder why? 2. How can I know what all features can be enabled to reader when I get an output from a RE ES process? If possible can you give me details steps? 3. Other requirement i have is to enable user to sign in the static form. 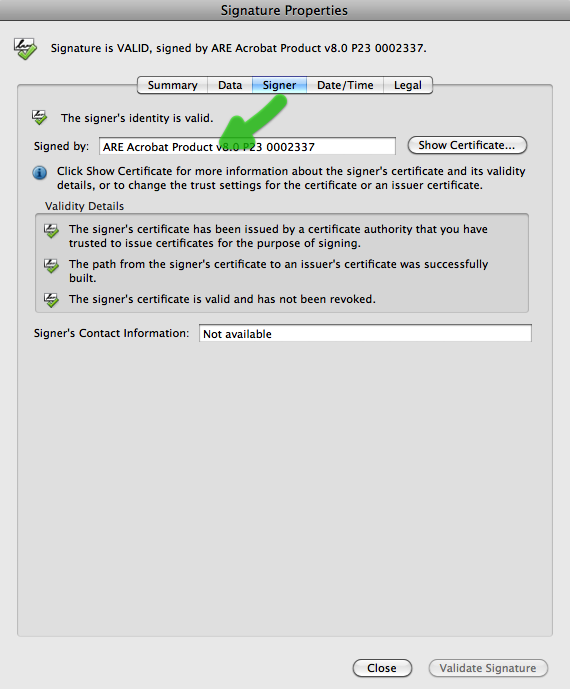 when i check out my form reader properties it says Signing is enabled, but could not able to implement it… Also I am not sure of the RE process is letting it to permit, As I don’t have sufficient knowledge to enable it, and implement it., Should I have to go for any additional license to enable digital signature? 4. In the form I needed to call the XML content, and the xml is placed in a file system, how shall i implement it? I know I may be asking lot of questions, but would really appreciate your response on time!, Thank You very much again!. Welcome to the LiveCycle world! If the form is Reader Enabled, then the option to save hte form in Reader should be available. I am not sure why the Save button is disabled. 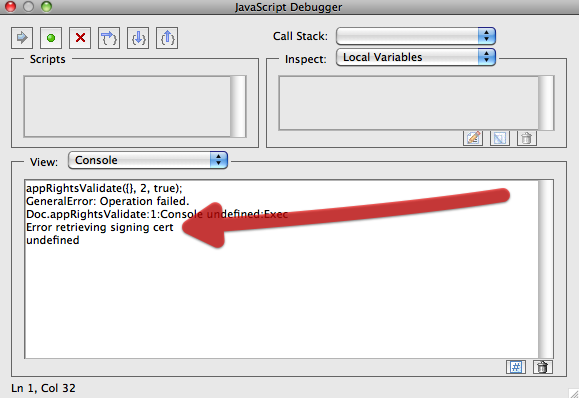 If you look above you will see how you can test to make sure the form is actually enabled. I do not have a feature map for LC Reader Extensions ES3. Maybe there are some support documents online. From memory, allowing digital signatures required an additional license; however I cannot be sure. In any case, Adobe’s model changes regularly, so it would be best to contact the Adobe sales team in your area. You can export the data in XML format and then process this manually or on the server. This would be outside of LC Designer.